This is a guest blog written by Sharon Falsetto. As an aromatherapist, I have a natural affiliation with plants and the variety of benefits that they can give us. Although you might be familiar with several plants as food sources, you might not necessarily be as familiar with the benefits that those same plants can have, when used externally. Plants can be used in a variety of ways for therapeutic purposes, such as herbal medicine, homeopathy and aromatherapy. In aromatherapy, essential oils are usually the most familiar extract associated with plants; essential oils are extracted from the leaves, roots, flowers, grasses and seeds of plants and used for the therapeutic benefit of many health problems. However, vegetable oils, which are often used as a medium for essential oils in aromatherapy, have therapeutic benefits too. And those vegetable oils which you use in the kitchen are often extracted from the same plants that can be used in aromatherapy too – albeit in a slightly different format. Although you might be tempted to use the vegetable oil that you have in your kitchen cupboard in aromatherapy too, it is not advisable to do so! Vegetable oils are processed differently depending on what they are going to be used for. Culinary vegetable oils are usually cheaper to buy than aromatherapy vegetable oils (although there are different grades of culinary vegetable oils too, for example extra virgin vs. virgin olive oil). In general, vegetable oils that are used for culinary purposes have been highly refined whereas good quality vegetable oils that are used for therapeutic aromatherapy purposes need to be unrefined. This means that you should choose cold pressed vegetable oils for the best vegetable oils for therapeutic purposes because they have not been subjected to high temperatures (which removes some of the therapeutic value). In addition, you can buy culinary vegetable oils in a general store whereas you can only buy therapeutic vegetable oils from a reputable aromatherapy supplier. Vegetable oils are used in cooking for frying, cooking, adding flavor to food and to salads as dressing. In aromatherapy, vegetable oils are most commonly used in massage as a “carrier” for essential oils. Vegetable oils have therapeutic benefits in their own rights and are often good emollients for the skin. They come in a variety of textures (light, medium, heavy) depending on the plant from which they were extracted from. Vegetable oils do not penetrate the skin in aromatherapy massage but they enable to essential oils to enter the body through the fatty layers of the skin and they help to retain moisture in the top layers of the skin. Therefore, you can see that there is a difference between choosing a vegetable oil for cooking and choosing a vegetable oil for aromatherapy! Although both types of vegetable oils are extracted from plants, the same plant might produce an oil that is edible and an oil that is therapeutic. In short, it pays to know your oil (and its intended purposes) before you buy. 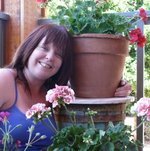 Sharon Falsetto is a UK certified clinical aromatherapist who founded the aromatherapy business, Sedona Aromatherapie, in 2007, located in Sedona, Arizona. She creates custom aromatherapy blends and gifts and is in the process of writing several online aromatherapy courses. She writes her own aromatherapy blog, Aromatherapy Notes, and is a prolific writer for many magazines, blogs and websites on the subject of aromatherapy and plants. Wow, it is so interesting, thank you very much. Could we make soap with those oils ? Keep up the good job, I will be back and tell people. That is very helpful. It presented me a number of ideas. veggie oils are used in massage oils – cool info! This did a good job explaining where aromatherapy oils come from. I’m made flavored cooking oil with olive oil several times… using garlic and dill or sage. It smells good, tastes good, but I wondered if it was the same as the aromatherapy oils until I read this article. Thanks !! excellent post on Vegetable Oil in Recipes and Aromatherapy. I like it, hope to read more of your blog posts soon. I have been looking for 1 question and can not seem to find it anywhere. I understand that vegetable oil is not great for aroma therapy. But everyone talks about how good carrier oils are for hair and skin. I have 1 question could you actually eat carrier oils? They are supposed to be the best and natural so could you? Thank you for your question. Aromatherapy carrier oils are actually vegetable oils. The only difference between carrier oils used in aromatherapy and those you find in the grocery store are that carrier oils used for aromatherapy practice should be cold-pressed oils whereas those you find in the grocery store (for cooking) are usually hot-pressed oils. Cold-pressed oils are extracted at a lower temperature than hot-pressed oils and therefore retain greater therapeutic properties for aromatherapy use. As for ingestion, that is an area of aromatic medicine which I am not qualified in, or can legally answer, but based on the information that I have given you, you can probably make your own informed decision. Bom treino! Amei as dicas. Adoro seu weblog! Obrigado – mais informações excelentes em 2018!